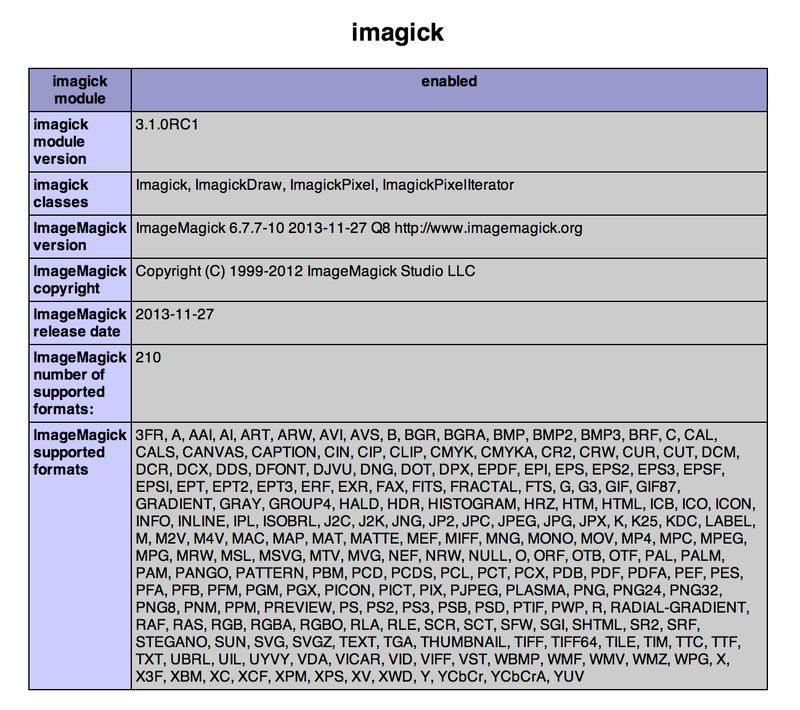 Ubuntu Precise’s package for ImageMagick is currently at version 6.6.9.7. In my PHP application, I take a transparent PNG, scale it down, then write it back out. I found that this version had a bug that caused the transparent edges of the PNG to get a dirty black background applied to them, and this problem was fixed by the time Ubuntu Raring’s version 6.7.7.10 of ImageMagick was released. So this post is about how to install Raring’s ImageMagick package into Precise. And finally, according to PHP’s phpinfo(), I had the newer version of ImageMagick running!